How can retailers grow faster than the market in times of platform economy? This question is the subject of the current retail study by the management consultancy EY-Parthenon which lists two strategic options. Online retail will continue to grow in 2019. This is the conclusion reached by the Handelsverband Deutschland, which predicts sales growth of around 9 percent to 58.5 billion euros for the current year. The main drivers of this development are the FMCG, DIY & Garden and Home & Furnishing sectors. The new Packaging Act came into force at the beginning of the year. However, many online merchants are not yet aware of the impact on their business. The magazine “ChannelPartner” therefore provides valuable information. Amazon recently announced to take its Dash Buttons off the market. However, according to the lawyer Rolf Becker, automated ordering processes are far from obsolete with this decision. In an interview with Dr. Eva Stüber from ECC Köln, he develops perspectives for legally compliant implementation. Migros is currently experimenting with a new approach to online grocery. In a pilot project with around 200 customers, the Swiss retailer is testing a personalised online shop for groceries. To do this, Migros uses the data from the Cumulus customer loyalty program to provide test customers with individual product suggestions based on their purchases over the past 12 months. Not so long ago, cooking boxes were regarded as the hope of online grocery. So far, however, the competitors have not managed to break out of the niche. In her article for etailment, Susanne Vieser sheds light on how these companies intend to make it into the mass market. According to a study by A.T. Kearney, not even every fifth German (18 percent) regularly buys groceries online. Nevertheless, according to the assessment of the management consultancy, one can be successful in the market – if the target group buying on the net is addressed correctly. Which content management system is the right one for e-commerce? E-Commerce places special demands on content management systems. 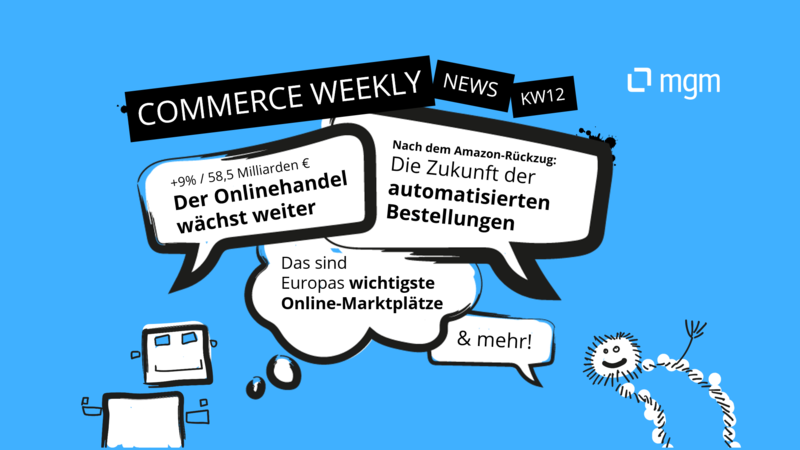 For this reason, the online magazine Contentmanager.de has tested 14 systems for their suitability for online trading. Almost every fourth euro (22.8 percent) in European e-commerce was earned in cross-border e-commerce in 2018. This corresponds to a turnover of 95 billion euros. This is the conclusion reached by the network and knowledge platform Cross-Border Commerce Europe in a recent study. Marketplaces are a welcome first step for many retailers to expand into new markets. When selecting suitable marketplaces, however, it should be borne in mind that Amazon and eBay are not as dominant everywhere in Europe as they are in Germany. For this reason, Ingrid Lommer has taken a look at other European countries for “Internet World Business”.